On Sunday 28th February 2016, Geraldine and Anton Scheele came to our service and told us about the work at the Father Andeweg Institute for the Deaf in Lebanon. This was founded by Anton's Uncle and in recent years Geraldine and Anton have been running Friends of FAID Ireland, a registered charity, to support the work there. They had a very interesting story to tell about how God works through many different people to enable this work to develop and continue. Click on Read More to hear a recording of their talk. 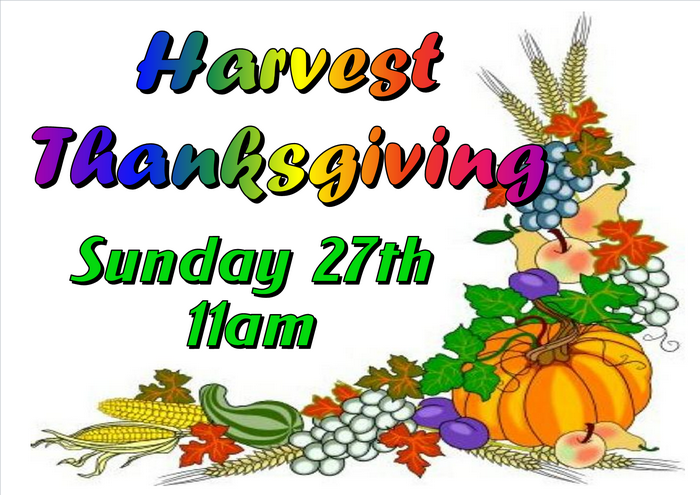 This year we will be celebrating our Harvest Festival Service at 11am on 27th September. 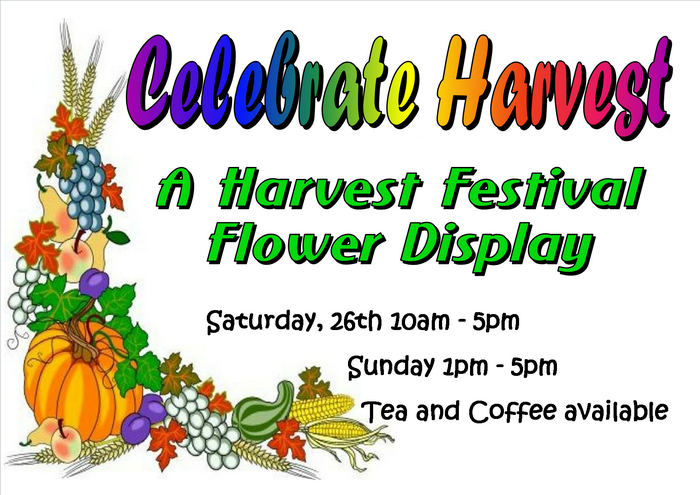 The church will be open to view the harvest decorations on Saturday, 26th from 10am until 5pm and on Sunday from 1pm until 5pm. Coffee and tea will be available. Photos of display. There will be a concert in the church on the 21st July given by a visiting choir from the Laurel Methodist Church Choir from Illinois. Refreshments and retiring collection. On Good Friday the meditation service of Tenebrae will be held in our Church at 8pm. It is a Circuit Service. Tenebrae (Latin for "shadows" or "darkness") is an ancient Christian religious service celebrated on Good Friday and widely used across denominations. The distinctive ceremony of Tenebrae is the gradual extinguishing of candles and lights during readings from the gospels of the time between the Last Supper and the Crucifixion. Ecumenical / Joint Churches Easter Event: “Journey to the Cross"
A ‘Pilgrim Walk’ called "Journey to the Cross" will take place on Monday March 30th. There will be three groups. One from Kill O Grange area, one from the inner Dun Laoghaire area and one from Monkstown. All to meet at 3 pm at the Statue of Christ the King adjacent to the Lexicon building, Haigh Terrace, Moran Park, Dun Laoghaire, where we will hold a short service of about 20 minutes. Read more about Ecumenical / Joint Churches Easter Event: “Journey to the Cross"
In 2014 the interior of the church was redeveloped - new heating and lighting, and extended dais, carpeted flooring, new furniture replacing the older pews, pulpit, lectern and communion table, a new colour scheme, a large glass screened vestibule and a kitchenette. The first Sunday in January is traditionally the day on which Irish Methodist churches hold their annual Covenant Service. The service culminates with the celebration of Holy Communion. The concept of the Covenant is based on the Old Testament accounts of covenants between God and the Jewish people. It reminds us of all that God has done for his people and in return His people commit themselves to His service.